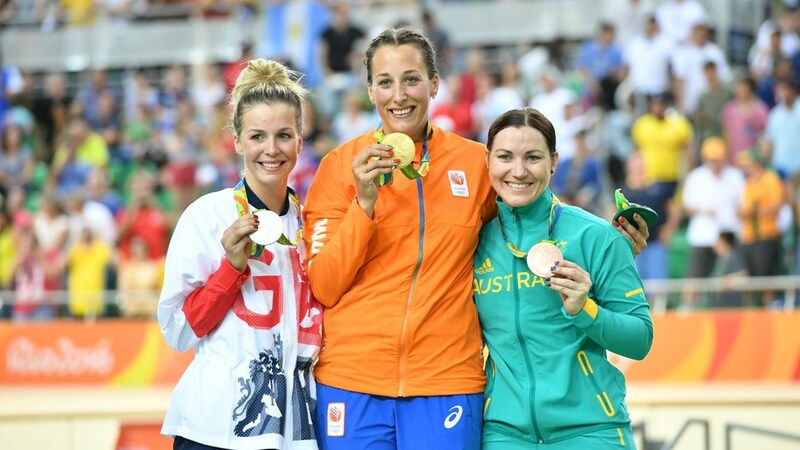 Two Olympic titles were awarded and another world record toppled on Saturday, the third day of track cycling competition at the Rio velodrome. 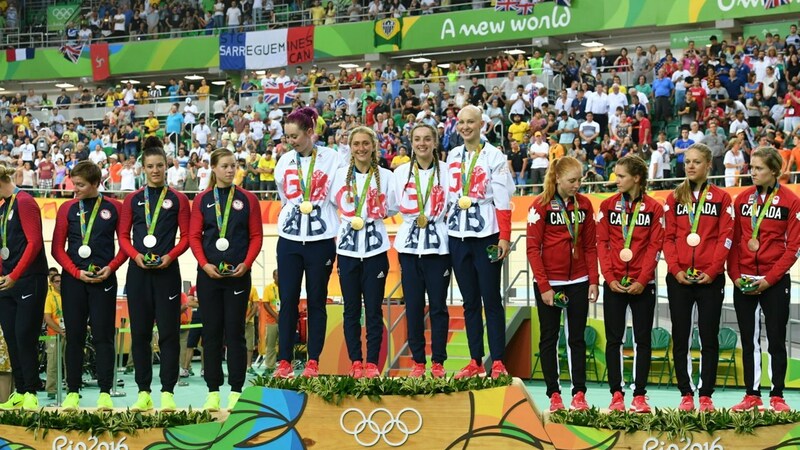 Great Britain took their third gold medal in the Women’s Team Pursuit, while the Netherlands won their first in the Women’s Keirin. After qualifying first on Thursday with a world record time, Both the United States and Great Britain broke that record in their first round races en route to the gold medal final. 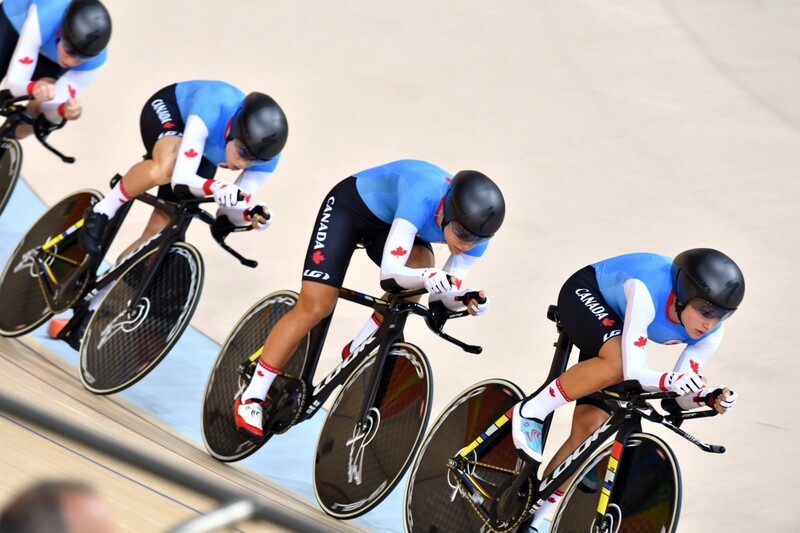 Canada set the third fastest time, and raced against New Zealand for the bronze medal. The American squad led for the opening 1000 meters of the gold medal race by less than a tenth of a second, however, from that point on the British squad of Katie Archibald, Elinor Barker, Joanna Rowsell-Shand and Laura Trott took the lead to break the world record again, dropping it to 4:10.236 . Canada won the bronze over New Zealand. 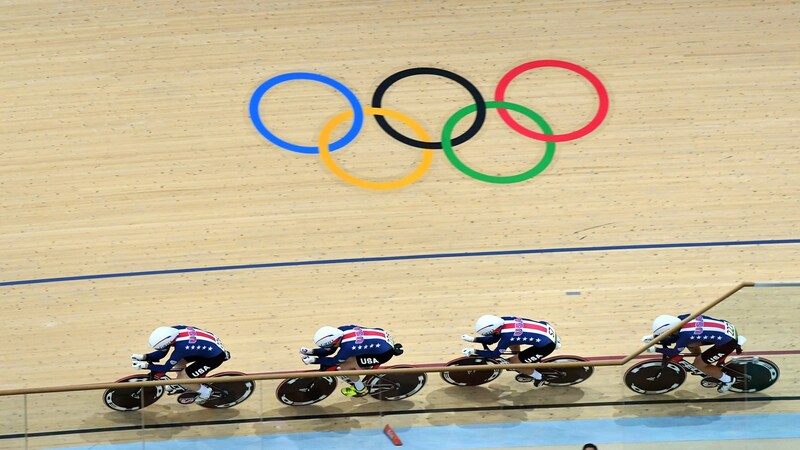 The Women’s Keirin final included six riders from six different countries. With over a lap to go, Elis Ligtlee of the Netherlands powered to the front. Rebecca James of Great Britain made a late surge in the final half lap, but her bike throw on the line wasn’t enough, and she had the settle for silver. Anna Meares of Australia won the bronze, the sixth Olympic medal of her career.